We want your locomotives and railcars! 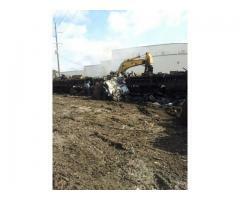 Rail Trusts Equipment INC. offers on-site dismantling services. With our vast knowledge of the industry and market, we pride ourselves on getting our customers TOP DOLLAR for their parts. Call Steve Gibbs for more information.